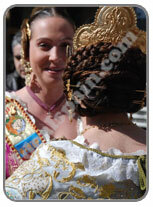 In March 2011, Idealspain went to see this fiesta in Denia (Alicante), within the Valencia region. 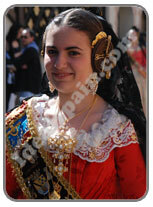 This is a wonderful fiesta, filled with music and colour. 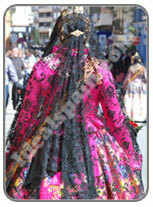 The costumes are absolutely stunning. 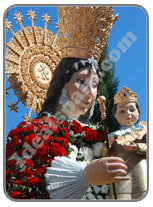 Flowers are carried through the streets towards the church where they are pinned onto a large wooden image of the Lady of the Forsaken. Every agegroup takes part and it lasts most of the day. There's a service at the church beforehand.